Lizzy, a 13 year old mini, previously foundered, walking on feet that had not received proper care for an extended period of time. Pictured are her feet at time of impound. 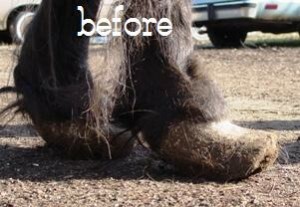 Update After two trims by a natural care farrier. Lizzie will always need the have her feet done on a regular basis, but she is walking normally and pain free. 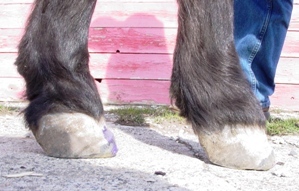 Thank you Diedra, for the work you have done on her hooves. 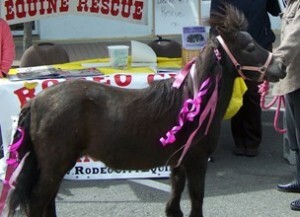 Lizzie is in a permanent home receiving regular hoof care.